Jack and I are off to the slowest start on this Monday morning (which came way too soon, I might add). 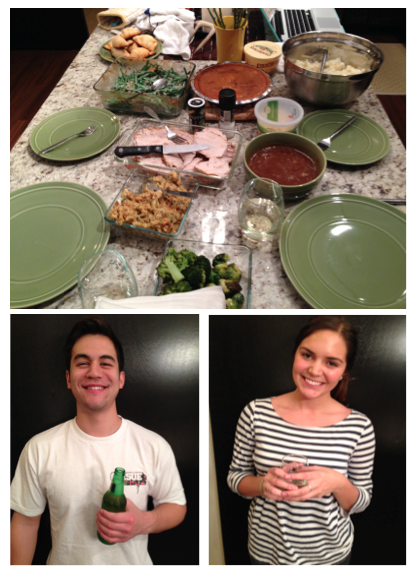 Yesterday, we celebrated our first-ever homemade Thanksgiving dinner (just the two of us), in our new apartment. We're heading to Mexico on Thanksgiving Day, and due to our busy schedules over the next week and a half before we leave, yesterday was the only day we had open to celebrate. We spent hours in the kitchen, sipped wine and beer while the turkey cooked and ate wayyyyy too much food (and nearly an entire pumpkin pie). 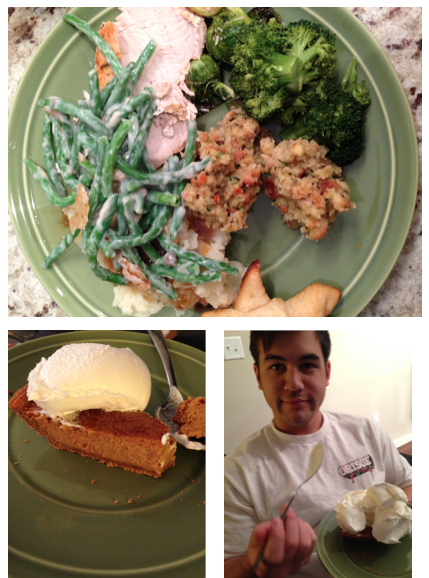 Our bellies are still full, and we're still coping with sleepiness from eating too much turkey on this Monday morning. On that note, coffee please?